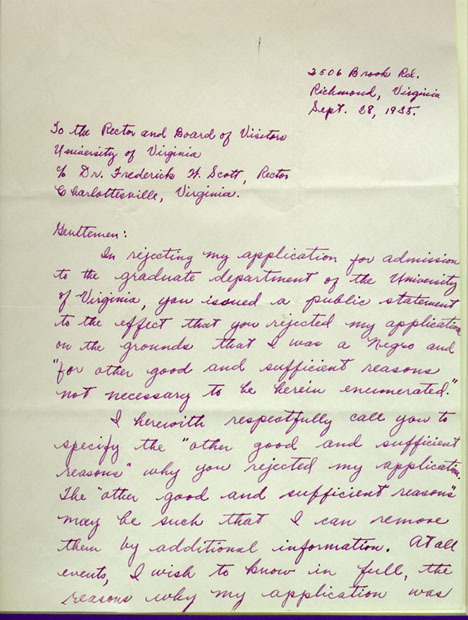 In 1935, Alice Jackson, the daughter of an African-American druggist in Richmond, applied for admission to the graduate school. 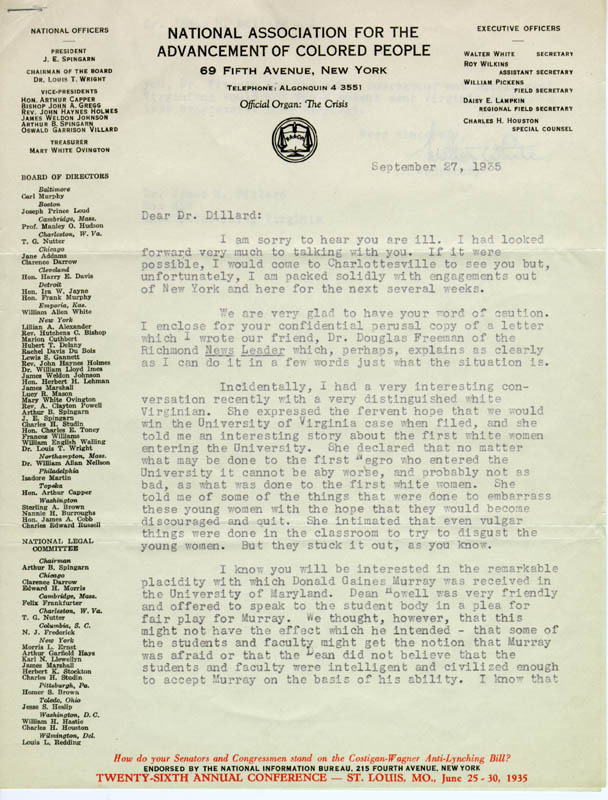 Her application was routed to the Board of Visitors who resolved that the "education of white and colored persons in the same schools is contrary to long-established and fixed policy of the commonwealth of Virginia," and "for other good and sufficient reasons." Dean John C. Metcalf then denied admission. In a spirited reply Jackson questioned the term "good and sufficient reasons." The N.A.A.C.P. considered filing suit at this point but did not do so.